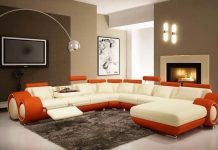 Home Living Room Designs 7 Beautiful Living Room Designs || The Outstanding Designs Presented by Roohome! 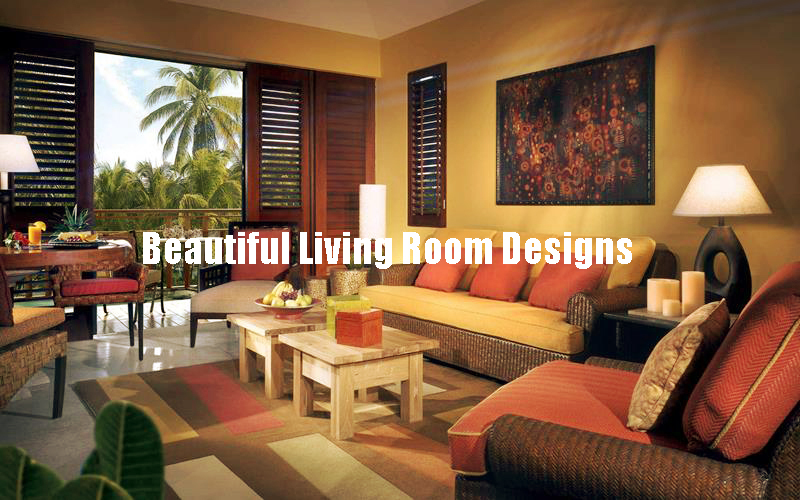 7 Beautiful Living Room Designs || The Outstanding Designs Presented by Roohome! A living room is the heart of a home because this is where all family members gather together and share their story. 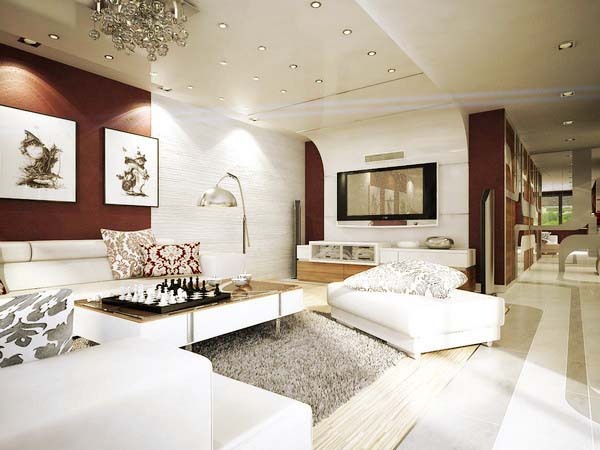 For that reason, all people tend to design their living room to look beautiful rather than any room in the home. For people who confused the best design for your room, we already prepared 7 beautiful living room designs which you can follow right away. This one like open plan living room. We can open the window to get fresh air from it. This is one of great experience rather than depends on AC. It is a great idea to attach a TV to the wall to save up some space in the room. The white paint which beautifies the wall also supports the whole room. For the furniture, the designer uses a mini-sofa along with a white rug below it. 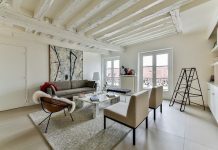 The flooring uses brick wooden accent to support the white color. What makes this room beautiful are the curtains. It is like in a wedding room rather than the living room. Also, white color still the favorite one to make the room looks gorgeous. Do not forget the ceiling light attach to make the room shine brightly. The rug also really beautiful because of the mosaic design. For the furniture, we can see three sofa, mini-table, and small cabinets below the TV. This design not only beautiful but also elegant. The first thing that makes this one awesome because of the huge rug which covers the entire floor in the room. 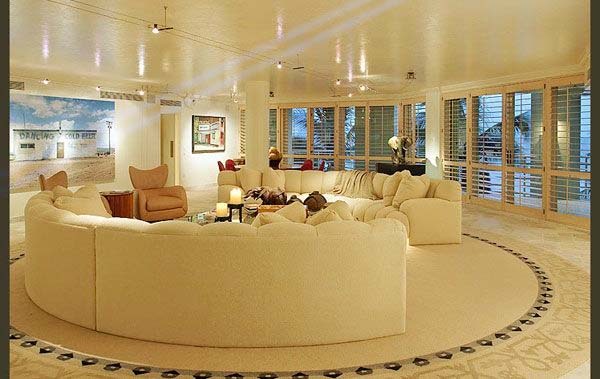 To support it, the designer adds white large sofa. Also, the position is really unique, it is like a circle. We can also many lights in the room. We can imagine how romantic the lights will shine the room at night. Actually, it is quite lonely. But, we have a big photo which ready to accompany us to make the room livelier. Probably all people already know the beautiful thing about the living room design above. The answer is the chimney itself. Indeed this is really unique because most of the home right now do not use it anymore. The fire will warm your living room in the winter season. We can also see the beautiful ceiling light on the wall. We are sure you notice, all the stuff in this design use a brown color. It is to match the wooden accent on the floor. The flower painting on the wall behind the TV is really superb. It is gorgeous if the designer decides to paint all the wall in the living room like that. That is enough about the wall. 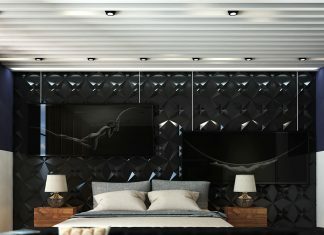 The next thing which makes the room beautiful are the two ceiling lights. As for the furniture, the blue and white sofa really support the main design along with the white table. For the closing, we have a rug which has a flower mosaics in it. This one really shows the perfect beautiful design. The Scandinavian design really famous nowadays. We can see almost all the home design use this style. 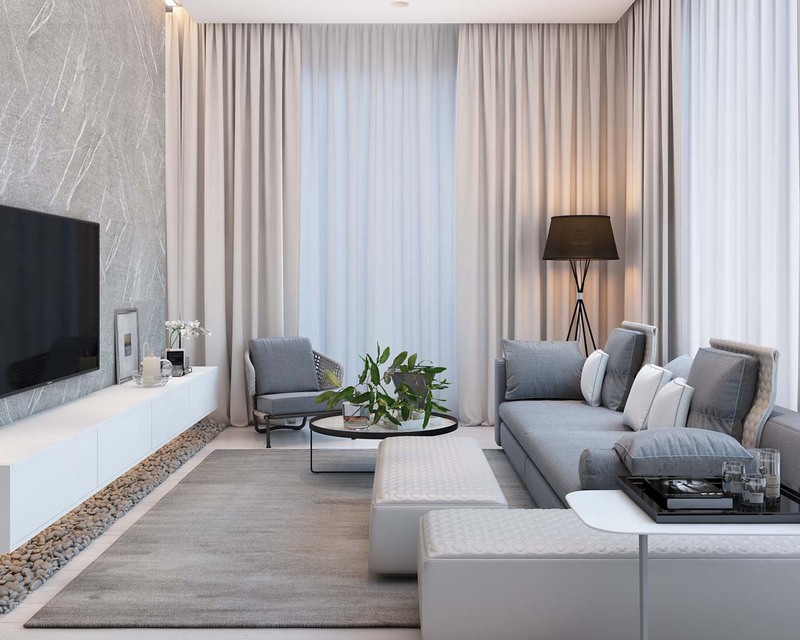 For the people who do not what is Scandinavian design, it uses a white color as the main theme and provides a high-quality design along with a good craftsmanship. 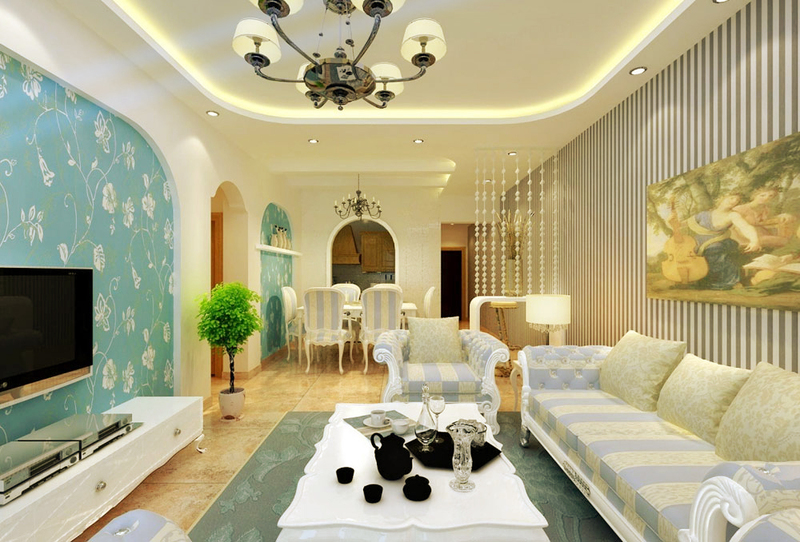 We can see from the picture above, the design can show the beautifulness of true living room. The metallic sofa blend really well in the room. Do not forget the unique blue mini-chair. The combination of white and brown color is really interesting. 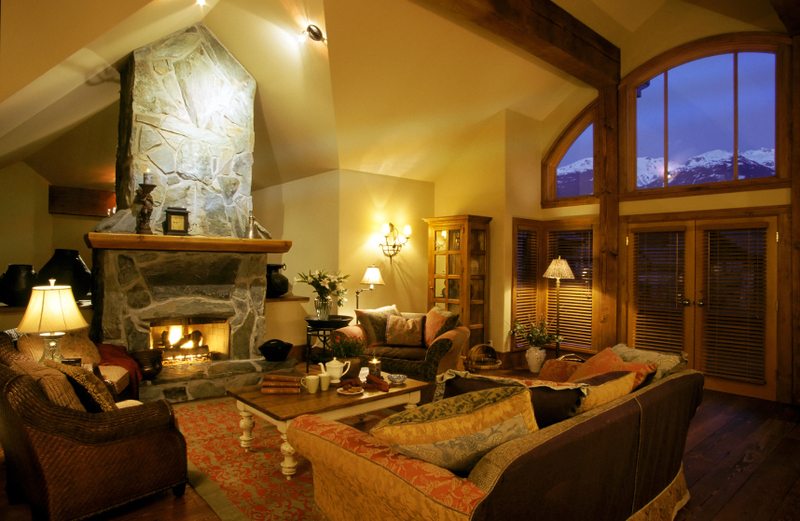 As the result, we can see the beautiful living room which calms our hearts. A unique big lamp also attaches to the wall beside the sofa. If It is not enough, the big desk on the picture can satisfy all the users to put anything on it like a flower for example. One of the good function when we want to play a board game. To make it more awesome, the silver rug will make us comfortable. Mostly, people who see that kind of design will attract to redesign their own living room. It is like a dream if we have a beautiful living room. Not only that but also, it will make our hearts calm from seeing it. This is the right time to transform your room! Author Bio: Sohail is a content marketer and a blogger, currently he is associated with Smiletutor.sg a private tuition agency in Singapore. His hobbies include writing, reading books, traveling and gardening.